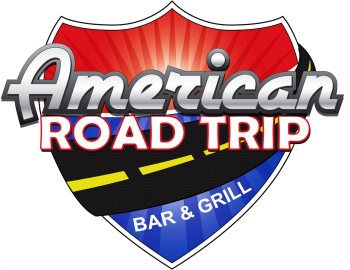 American Road Trip Bar & Grill isn’t just a restaurant, it’s a journey. You can take a trip across the country without ever leaving your seat. We love our country and want to share some of the beautiful and majestic treasures we have encountered throughout our many travels. We hope to accomplish this through our menu, décor and service. We have been blessed to be a part of and serve the wonderful community of Yucaipa and the surrounding area since 2013. Our Mission is to provide 100% guest satisfaction 100% of the time. If you don’t leave happy, we’re not happy. Our highly attentive staff offers outstanding service, quality food and a clean comfortable environment for the whole family, or a night out with friends or coworkers. We are a family friendly restaurant with plenty of comfortable seating, with the flexibility to accommodate parties of up to 30 people. We have a full bar and offer “Happier Hour” (7) days a week. The bar side of the restaurant has booths and plenty of TV’s to help create a relaxed, comfortable atmosphere, where you can bring your family, meet up with friends or watch your favorite sporting events. If you’re staying home we offer a full to-go menu and catering to bring the American flavor to your home or event. There’s always something fun and exciting going on at the Road Trip. Our extensive menu, full bar and nightly specials have got you covered, but you truly have to visit us to really be able to absorb it all. Care to take a ride? We look forward to serving you and adding you to our growing list of happy customers.